Memorial Day Weekend is just around-the-corner! 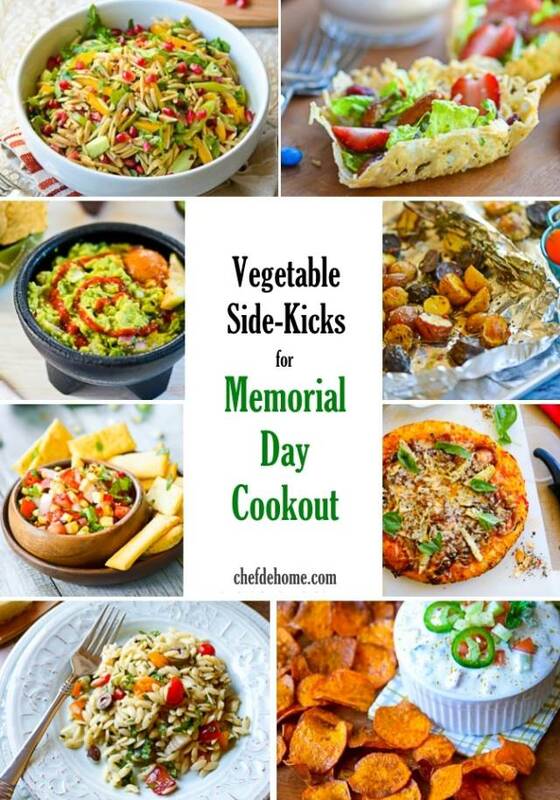 Don't forget to serve some easy veggie side-kicks to accompany grilled meats! 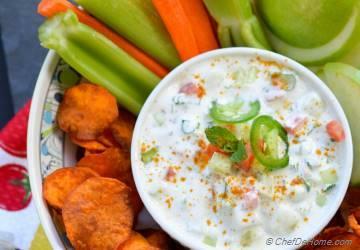 From Spicy Guacamole, Crunchy Veggie Salads to Hearty Potatoes, I'm sharing 12 crowd pleasing sides to keep your 'weekend cookout' healthy and scrumptious! Not just veggie side kicks make meaty luncheon stand-out, these are also great to cover guests who are on meatless diet. 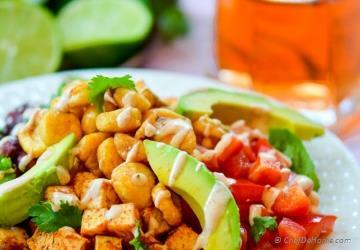 BBQ Tofu Salad is not just a side-kick but can also be a satisfactory meal for your vegetarian guests. There is always room for 'Guacamole'! 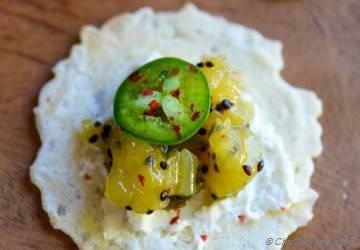 To spice things up, how about a drizzle of yummy sriracha?!! 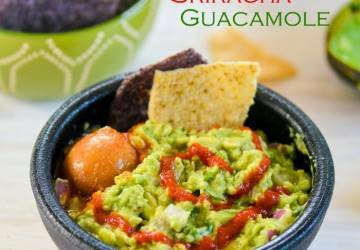 If you don't like Sriracha, I have another super-hit chunky guacamole! 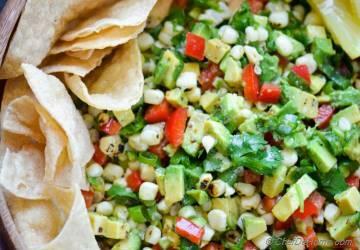 Grill some corn and add to this guac for smoky and sweet taste! 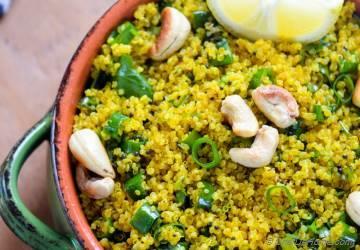 Healthy, packed with delicious curry flavor, this 20 minute Vegetarian Side is sure to WOW every guest! 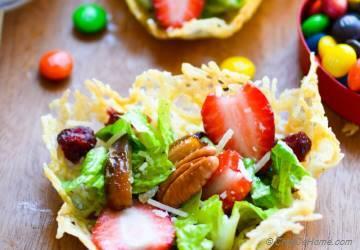 Go fancy with Side Salad served in Single-Serve Parmesan Heart Cups! 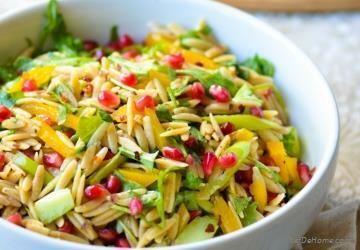 Dressed in sweet and lemony Meyer Lemon dressing, this pasta salad is perfect hearty side. No one will be able to resist the kick of Spicy Sweet Potato chips! I bet! 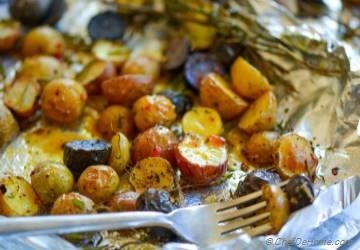 You can even GRILL these baby potatoes in individual foil-pouches to serve outdoor with grilled meat or seafood of your choice! In hurry? 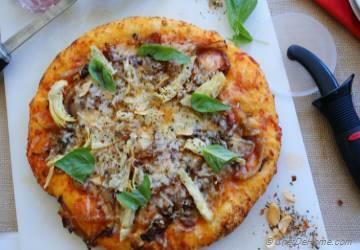 Use 'store bought' dough to make this scrumptious Caramelized Onion Pizza! TIP: Grill it outdoor to serve on side with main course. 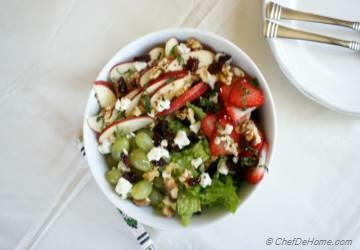 This American Classic salad is must for Memorial Day cookout! 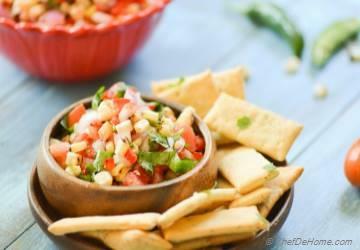 'Oh So Delicious' Add pizzazz to any cookout with big bowl of this Chili Lime Roasted Corn Salsa! Gauri, chutney bites were actually very delicious! We finished one whole batch same day!